QUESTION: Today’s question comes from J.B. from PA. She asks: How can I create the right vibration to be rid of money challenges? Thank you J.B. for submitting this great question. I’m sure there are many people who are wondering this as well. (If you have a question you’d like answered subscribe – here). ANSWER: To create the right vibration so you are “rid of money challenges” you have you think, feel and behave the way a person who has NO money challenges would think, feel and behave. You have to elevate your emotional vibration above the level of fear, scarcity and worry to the level of joy, appreciation, gratitude and feeling secure. Essentially, you have to become a new person when it comes to the vibrations you emit otherwise you’ll stay in the lower level emotions, thoughts and behaviors and keep creating money situations that are challenging. Let’s look at an example of how a person who has no financial challenges might be like with money. Pays off debts or has no debt. Saves up for special purchases. Enjoys opening their bills and bank account statements. After looking over that list what do you think it might “feel like” to be this person? Would you feel really good? Capable? Confident? Savvy about money? In control of your money? Safe? Secure? Grateful? Generous? Free? Fearless, Happy? Joyful? It’s likely you’d feel all those things. So, to raise your vibration and overcome your money challenges you must embody the attributes of a person like this and act “as if” you have already overcome your financial difficulties. When your thoughts, feelings and behaviors “match” those of a person who has no financial difficulties your situation around money will shift dramatically for the better. Follow the three steps below to change your vibration. 1. Begin a practice of daily meditation on BEING this new person. Top athletes have been doing this for a long time. This practice is called “mental rehearsal.” Commit to going within and imagining with every all your senses how it would feel to be this person who has no money challenges. Create a detailed vision of you living that way and spend at least 15 – 20 minutes a day immersing yourself in this vision. You should come out of your meditation feeling those emotions stated above. If you do this every day your dominant emotions will rise to those shared in the example – and stay there. 2. Start thinking like a person who has their money under control. Ask yourself this question every day: What would a person who has their money situation under control do? And then do it. Would you begin to focus on paying off one bill at a time? Would you polish up your resume and look for a better job? Would you put your expenditures under a microscope and create a budget to live on? Start a savings account and be thrilled to see the balance go up each month? Whatever it is that comes to you each day commit to doing it. The more action you take the faster your vibration will change. 3. Stop allowing your current “reality” to dictate who you are and what you can achieve. What you’re going through does NOT define you. It’s just where you are now. Keep your eye solely focused on your vision, not your current circumstances. This doesn’t mean you don’t address problems in your current reality. You do what needs to be done but you don’t allow your emotions and faith to be pulled down by your current circumstances. No matter what is happening today in your finances realize it can change and you have the power inside of you to change it. As you change your emotions, thoughts and behaviors around money you do become a new person. You become a person who is very different around money than the person you were before. And as you change inside the reality around you will also change. Absolutely – positively. How have money struggles affected you? Will you follow the three steps to raising your money vibration? If you enjoyed this article please share it with a friend or on Twitter or FB. P.S. 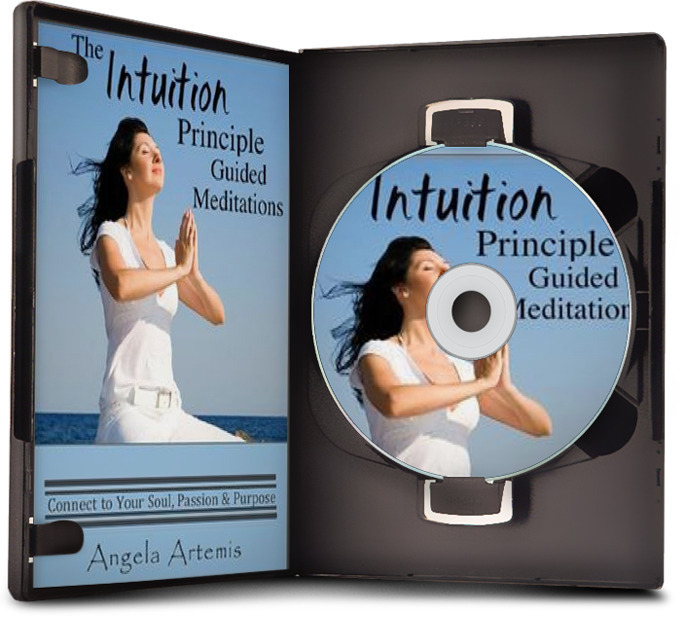 Check out my best selling intuition development books: here. The path to successful entrepreneurship is not a straight road. It’s strewn with failed business ideas cast out to make room for new inspiration and innovation. It’s also a road that loops backward at times. Entrepreneurship is a journey and although the path is different for every entrepreneur there is one thing all successful entrepreneurs have in common; they stick with it. They have a fire burning inside that drives them to keep going despite the challenges. The path is also paved with personal growth. You cannot fail to grow in your journey to becoming a successful entrepreneur. You will think you’ve latched on to the most marvelous idea and then months or perhaps years later find yourself losing interest and decide to move onto another venture. You mustn’t feel like a quitter – this is normal! To grow your business you must grow as well and that means letting go of old outworn versions of your business. The path to entrepreneurship has many twists and turns. I began by offering services locally through word of mouth. I gave private intuitive readings and taught workshops in my home on creative visualization, law of attraction, success principles and meditation and made little to no money doing this but I didn’t care. I was learning. When I was ready to spread my wings and reach more people I started a website and began building an audience to publicize my book. 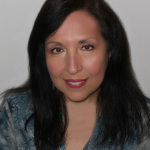 I continued to offer readings while I wrote more books on developing intuition and meditation and created products such as guided meditation albums and abundance training courses. This is when I finally began to see some monetary gains but not enough to leave the corporate world. 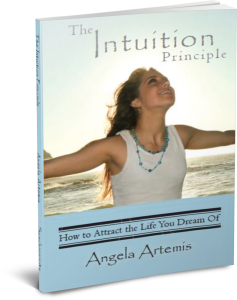 Later I created a program based on my book (The Intuition Principle) to teach students how to listen to their intuition and find their right path and right purpose in life. Once the course launched I was finally able to leave my job and my income started to grow. After offering the course though I felt I wasn’t finished yet, that there was still more I had to offer. I realized that I also wanted to teach entrepreneurs how to build a business. I created a course to show them how to attract clients and build a sustainable business. And then my practice evolved again when it finally dawned on me that I wanted to teach entrepreneurs how to overcome their fear of selling themselves, their services and programs based on my own successful experience in financial sales. Now, that I have a clear vision for my business I feel ready for the next chapter of growth – which is sure to come! We start our journey toward having our own business thinking we’re going to do one thing and we end up doing another. If you expect that your business will change and evolve and keep going eventually you will end up with a successful business you love. The trick is not to give up or give into the negative voices in your head telling you that you’re doing it wrong or that you’re never going to be a success. You must listen to the voice of your own inner wisdom, your intuition and you will get there. Accept that fear is going to accompany you on this journey. We will never completely banish fear in fact we need to have some fear in order to not do foolish things. But, fear doesn’t have to paralyze you. Feel the fear and step out of your comfort zone anyway. As you grow you’ll let go of old fears and new ones will crop up as you face new challenges. Be disciplined, create goals and have a good work ethic. Have goals and then work diligently toward achieving them. Do the things you would rather put off first, so that you can feel good about having done them. Write down your goals and review them often. If you don’t achieve one analyze it and look for where you could have course corrected. This is how you’ll learn and do it better next time. Keep moving forward and be decisive. Don’t let days go by when you do nothing waiting to decide. Days turn into weeks and weeks into months and before you know it you’ll have made no progress and you will give up. Don’t make this mistake. Make a decision and do something no matter how small every day. Decide that you won’t wait for the inspiration to do things – decide to them or you might be waiting a long time. When you keep moving there’s more of a chance of bumping into your good. Listen to that intuitive voice inside. Your intuition will inspire you with actionable ideas every day if you get into the habit of listening. Your business intuition enhances your success and says things like, “Email this person” or “Go to this event” or “Call so and so today and ask if they have any advice for you.” Do it. This is how those amazing coincidences occur that open incredible doors for you. Stay curious and open to creative new ideas. You do not have to stick with the first idea or version of your business. Allow your curiosity to lead you to research and investigate new ideas. If you’re more open and don’t think you know everything already you’ll always have a fresh supply of creativity at your fingertips. Banish perfectionism! You don’t have to be perfect so don’t strive for it. Getting things done and making continued progress is way better than trying to do things perfectly. Stop worrying what other people think of you. Dr. Wayne Dyer said, “What other people think of me is none of my business.” You can’t live your life worrying that people will think you’re crazy for doing what you’re doing or that you can’t do something ’cause someone else is doing it or it’s been done. Your opinion of yourself is the one that counts, plus no one can ever do things like you. You are unique and you’ll have your own twist on it. Do not compare yourself to others. This is the way many entrepreneurs knock themselves out of the game. They look at others and think they’re not good enough or making enough progress and they start to get down on themselves. There’s nothing good to be gained from the comparison game. It will sabotage you and stunt your business growth. Stay motivated and keep your spirits high. Rome wasn’t built in a day neither will your business. Read uplifting books. Don’t let yourself fall into feeling down about yourself ’cause it’s not happening fast enough. Yes, it’s hard to stay motivated when the money isn’t coming but if you keep moving forward you will get there. Chunk down projects into smaller tasks. Don’t make a huge list with gigantic accomplishments on it like, “Get to 10,000 subscribers” when you only have 500 people on your list. Tasks should be doable and not place undue stress on you. When you don’t take small steps and expect to leap yards in a day – you will feel let down when you don’t and then you might give up. Do go back to the drawing board. Going back to the drawing board isn’t a failure it’s how you evolve as an entrepreneur. Expect that you’re going to change and switch lanes ’cause you will. This way when you do you’ll only see it as your business becoming more laser focused on what’s perfectly suited to you – that’s all. Make building your business into a fun game. Don’t take it so seriously. Think of yourself as the hero in your game and your challenges as the arch rivals you have to defeat. Turning challenges into fun games has been shown to reduce stress and increase creative thinking! Having fun is actually good for you and your business. Celebrate your wins and reward your self. When you accomplish something don’t just say, “next!” Tell yourself that when you reach a certain goal you’re going to reward yourself. Think about what you went through and celebrate it. You deserve to recognize you. Don’t just give yourself lip service! Learn to say, “So what?” The most successful people learn how to let so called “rejection and failure” roll off their backs. You must do the same. Not everyone will like you nor will you succeed every time. The problem with most people is that they give up too soon. Don’t be one of those. Getting to success as an entrepreneur is all about making the right decisions along the way and that requires the ability to trust yourself and your intuition. If you take these 15 tips to heart and keep going even when it’s tough you’ll get there. 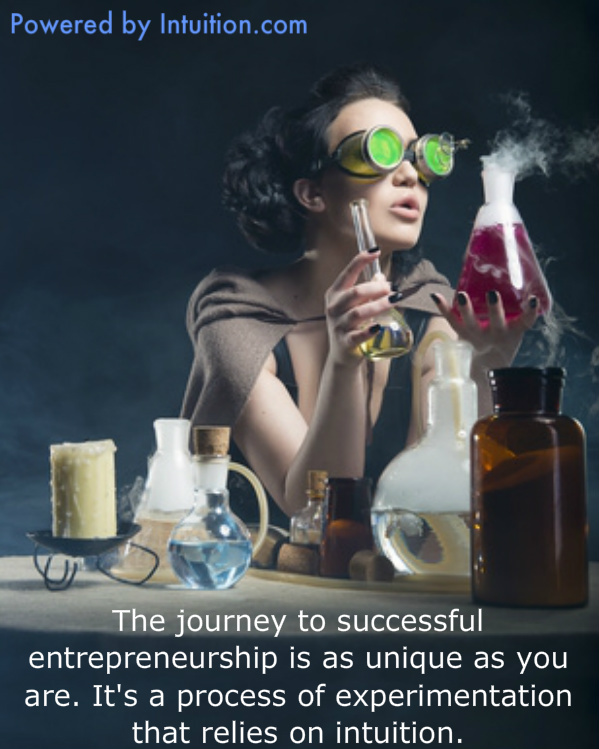 What are your tips on the successful path to entrepreneurship? Share them with us in the comments. If you enjoyed this article share it with a friend on Twitter, FB or Google+. Thanks! Download my new book, “Less Worry, More Clients, More Money” here. Do you struggle with health challenges? Do fears hold you back from achieving your dreams? Whatever you’re struggling with have hope. You can change you life. It may not happen over night but it will change. The key to change is to have a strong commitment from the beginning to want to change some aspect of your life. No amount of wishing, visualizing and using affirmations is going to do the trick all by itself. You have to put in the time, effort and personal development work on yourself to make things change. If you want to get healthy you’ll have to commit to eating right and exercising if you truly want to see the results. You’ll also have to change the way you think about food and exercise. All changes begin on the inside which is personal development work is crucial to make any lasting change. If you want more money flowing into your life you’ll have to dig deep to unearth your money blocks and clear them and then figure out a plan for how to make more money. Insufficient money flow creates huge pressure in our lives. You might want to deal with that one first. If you want better relationships you’ll have to start examining what you may be doing that is contributing to the state of relationship that’s making you unhappy and then work on yourself using personal development. Even if this problem has been around for a long time you can start right now to chip away at it. Here’s how to deal with your problems head on. How to Deal With Your Problems Head On. 1. Choose one challenge in your life you wish to change. There are two ways to choose where to begin. Get clear on which problem needs your attention most urgently because it’s painful and expensive in terms of the cost to your life, and choose that one. Or chose a small problem to work on first that you can clear up quickly. Either way is fine—just choose one right now! Don’t wait. 2. Consequences of the problem. Take out a sheet of paper and put the name of the problem at the top. Write down all the ways this problem is affecting your life. How does this problem prevent me from being, doing and having what I truly want in my life? How does this problem make me feel every day when I wake up and think about it? How does this problem affect my family and friends? What is this problem costing me financially and in terms of my health, my peace of mind and my ability to succeed? Keep asking yourself these questions until you run out of answers. You want to have at least 20 good painful reasons for clearing up this challenge. 3. Turn consequences into celebration! Turn the sheet of paper over and take each of the problems you listed on the front and turn them into reasons to celebrate. For example if you want to get in shape and one of the consequences of being out of shape was not being able to play with your kids write on the back, “When I get in shape I’ll be able to play with my kids!” Do this for each of the consequences and get excited as you do it! 4. Take an inventory. Inventory the the list and pick the 5 top most painful, urgent reasons to overcome this challenge and the corresponding reason to celebrate. Make a new list and put it on the refrigerator door where you’ll see it every day. 5. Make a to-do list. Create a detailed to-do list of how you’re going to tackle this problem. Include the actual step by step outline for how you’ll solve it. List names of the people you’ll call who can help you. Make sure to add the dates by which you’ll complete each and every step. It’s not a real list unless you have deadlines. Be sure to meet your deadlines. 6.Countdown by crossing-off. As you complete each step on your to-do list cross it off and allow yourself to feel proud and excited of the progress you’re making. Put down the date you completed each step. Seeing the actual time it took may inspire you to work faster. 7. Celebration time! When you overcome one of the painful reasons you listed for wanting to deal with this problem cross it out and highlight the corresponding celebration one. Then celebrate even if it’s just doing the “happy dance” in your living room when no one is watching! One of the things we don’t do often enough is celebrate our wins and accomplishments in life. Despite what you may think taking a moment to celebrate or pat yourself on the back is not silly or frivolous. It’s a sign that you are your own ally and that you love and value yourself. And loving yourself is what will lead to fewer challenges, obstacles and problems in your life in the future. Once you’ve done this with one problem tackle the next one, and the next one and before you know you it you will have dealt with each and every problem head on! What do you want to change in your life? Are there negative people you’ve let hang around for far too long? What’s the most urgent, painful costly problem you have? If you enjoyed this article please share it with a friend on Twitter, FB or Google+. Thanks! P.S. Let your intuition be your guide. Click here to learn more! Want to share this? Pin it! There are so many good reasons to develop your intuition in addition to hearing your own inner guidance more clearly. Setting the intention to connect daily to your intuition leads to a reduction in the distracting, fearful and often sabotaging voices in your mind. That allows the true voice of your own inner wisdom to surface above the noise. Another benefit of developing your intuition is gaining a greater sense of your own power. Developing your intuition brings clarity around who you really are and what you were meant to do in this life. When you’re aligned with your purpose you become clear on your value and that leads to to greater self empowerment. When you’re self empowered you take action toward your goals and become an advocate for yourself to ensure that you live a fulfilling and meaningful life and living up to your full potential. You stop looking outside of yourself and relying on others to advocate for you or to make you happy or fill you up. You become self reliant, self sufficient and completely whole in every sense of the word. You take responsibility for every aspect of your life. Realizing that your purpose benefits others helps you become more confident in yourself. Having more confidence means you falter less in your decision making and make progress more easily toward achieving your goals. Confidence also comes from hearing your inner guidance clearly and successfully following it. Each time you follow your intuition and it leads to a successful outcome you develop greater faith, trust and confidence in yourself. Self empowerment gives you the confidence to know that you’ll take the right action to learn how to do what you need to do to get it done. You’re not always waiting for something outside of yourself to “get started.” When you lack confidence and feel disempowered you’re always in a “getting ready to get ready mode” instead of actually starting something. “Getting ready to get ready” is the illusion of thinking you’re doing something. When you’re not clear on your purpose and the value you bring to the world you feel indecisive and shaky when making decisions. You do all sorts of things like “busywork” that don’t actually amount to anything because you’re unsure of what to do. This lack clarity and confusion on what action to take next is a vicious cycle of not being sure and either doing the same things over and over again or suddenly changing directions without putting any real thought into it. This cycle of feeling so unsure of yourself and doubting your direction, purpose and value are really disempowering and just ends up making you feeling worse. The way out of this vicious cycle is to go within and build a strong connection to your inner wisdom; your intuition and letting it guide you. Working on your intuition is a practice of staying ever present and being mindful. 1. Reduction in the distracting, fearful and often sabotaging voices in your mind. Have you noticed these benefits from developing your intuition? 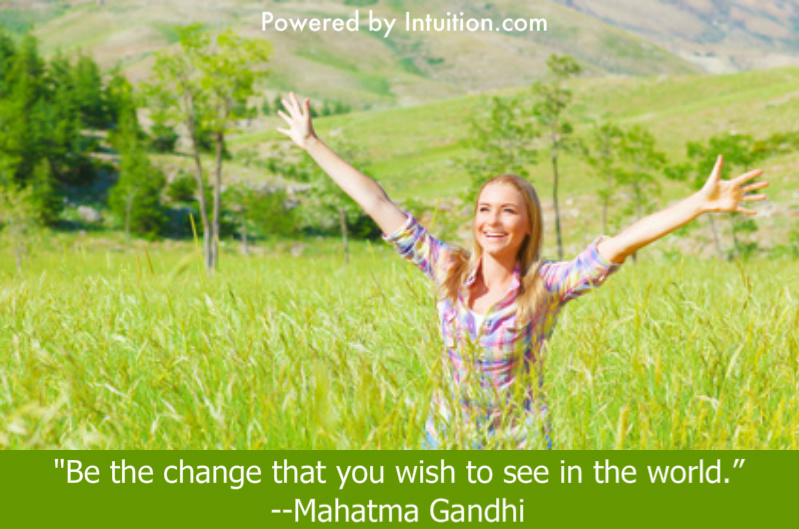 Share with us how developing your intuition has impacted your life. If you enjoyed this article please share it with a friend on Twitter, FB or G+. P.S. 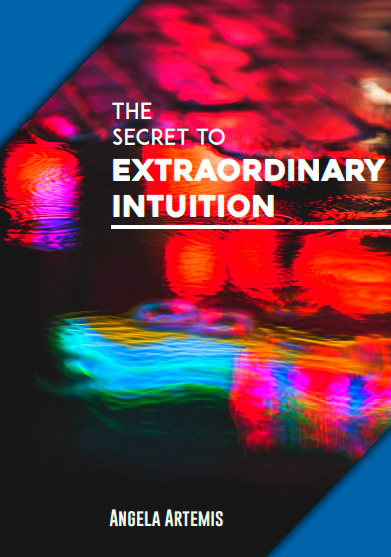 Learn more about how developing your intuition can enhance your life: Click here now. Fear is sneaky and has many disguises. It’s important to recognize the ways fear disguises itself because it can and will sabotage your dreams if you let it. When you follow the guidance of your intuition you are led to the choices and decisions that will bring you the greatest success. The pull you get about taking this action come to your awareness because you are ready to take this path. If it were not meant for you there would be no pull toward actually doing it. This “pull” toward a particular path is how we are directed and guided in life by our higher knowing. To ignore this guidance is like driving by 100 gas stations when you’re lost and never stopping to ask for directions. The moment you honor the “pull” and take “intuitively inspired action” you course correct and end up on the right road for you. Fear makes you a hostage to the status quo. It holds you back from taking intuitively inspired action or from carrying it out. It keeps you stuck in your comfort zone where nothing changes. When you are driven by fear you have all kinds of excuses about why you can’t do what you planned to do so you never achieve your dreams of doing great things. You must learn to recognize fear in all its disguises so your dreams won’t slip through your fingers. 1. Avoidance. Do you avoid doing the things you need to make your dream a reality? Do you send for information but then never read it? Do you sign up for things but never respond when it’s time to confirm? When you keep avoiding what needs to get done opportunities diminish and doors close. Eventually you rationalize that you’ve lost interest in your dream. Avoidance is a disguise for fear of failing. 2. Procrastination. Do you procrastinate? Are you indecisive? Do you put things off and drag out what needs to get done until it’s too late? Miss deadlines? This sabotaging behavior is a disguise for fear of failing too. If you never finish technically you’ll never fail, right? It’s a pretty sneaky way of sabotaging your dream. 3. Overwhelm. Do you take on too much? When you dive headlong into things without mapping out the steps you feel overwhelmed. If this is a pattern in your life you fear there is never enough time. You feel you have to do it ALL right now! When you’re in overwhelm you shut down and nothing gets done. This is a disguise for both fear of failing and fear of success. Either way, getting overwhelmed and shutting down ensures you’ll never fail or succeed. 5. Excuses. Do you make excuses about why you can’t do something? Is the timing wrong? Do you cancel appointments? Are you too busy? Does everything always “cost too much?” Do need to do more research and have more information first? Do you talk yourself out of it saying things like, “Well, it’s probably not all it’s cracked up to be?” Making excuses is a disguise for fear of failing too. Excuses hold you back from starting. When you never start you can never fail. Do you recognize any of these behaviors? What sneaky way is fear keeping you from getting to your dream? P.S. Learn how to take intuitively inspired action in your life! Click here.